For an excellent day trip from Vancouver, spend the day just 1 hour south of the city at the Reifel Bird Sanctuary, and then visit the small fishing town of Steveston. The Reifel Bird Sanctuary is the winter home of the Lesser Snow Goose and one of Canada’s top bird-watching sites in the heart of the Fraser River estuary, one hour’s drive from the City of Vancouver, British Columbia. The Sanctuary is one of 92 protected areas across Canada termed bird sanctuaries by the Government of Canada. The Sanctuary consists of nearly 300 hectares (850 acres) of managed wetlands, natural marshes and low dykes in the heart of the Fraser River Estuary. 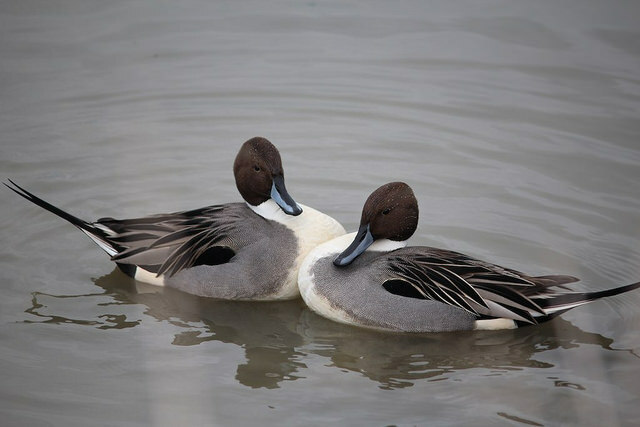 The fall migration period (October to early December) is the best time to view noticeable large flocks of waterfowl feeding and resting in the estuary and the ponds. The fall viewing is made most spectacular by the arrival of the “Fraser-Skagit” flock of Lesser Snow Geese. This particular sub-population of snow geese numbers between 50,000 and 100,000 depending upon nest success in arctic breeding grounds on Wrangel Island (Russia). These birds start to arrive in early October and spend the winter at the Sanctuary, in surrounding parts of the Fraser River Estuary (Delta and Richmond) and in the nearby Skagit River Estuary in Washington, USA. They depart for northern nesting grounds in April. There is an 10m high observation tower at the furthest point of the Sanctuary. There are also a couple of bird blinds across the trail (just make sure you close the windows and doors when you leave!). Over 280 species of birds have been recorded at the Sanctuary so there certainly is plenty to see! Don’t forget to bring your binoculars, camera, and wear good walking shoes. Most of the trails are gravel or grass. If you are visiting on the weekend, I would recommend arriving early (before 11am) as it gets extremely busy. “Don’t miss this” tip! Sunday mornings at 10am – the guided bird walk! If you’re new to bird watching, this is a great walk for you. If you’re a seasoned bird watcher, you’ll still enjoy this too! The guide will point out birds, explain species and behaviors. They may even know bird calls to teach you. Highly recommended! Just drop by, the walk is free with paid admission. There are washrooms and a picnic area by the parking lot. The gift shop sells bird seeds for you to feed the many varieties of ducks. Children will love it. Stevenston is a quaint fishing village (with over 600 fishing boats!) 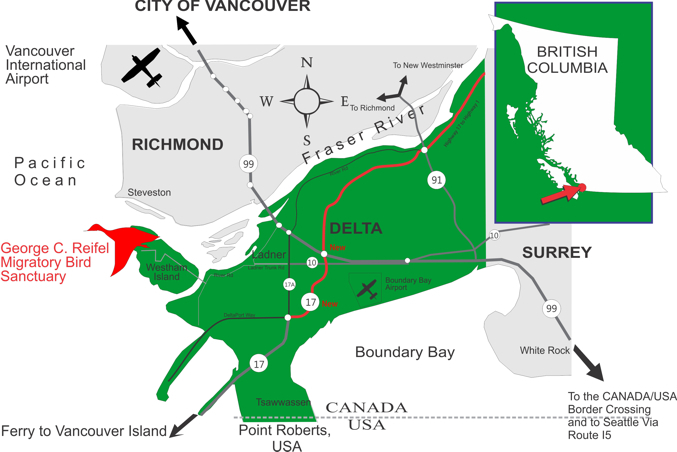 that sits at the mouth of the South Arm of the Fraser River in Richmond – still officially part of greater Vancouver. Since the 1870s, Steveston has been home to salmon canneries, attracting Japanese, Chinese and European immigrant workers there. Today, the town retains a heritage charm due to the preservation of many historic buildings but has also grown to accommodate an increasing population and tourism industry. Since 1945, Steveston has hosted an annual Steveston Salmon Festival on Canada Day, July 1. The Gulf of Georgia Cannery, a National Historic Site, is also found in Steveston. Recently, Steveston has also become known as “The Gateway to the Orca,” referring to the very active whale watching industry here. Walking distance from the cannery is the Britannia Shipyards National Historic Site. “Don’t miss this” tip! Take a quick side trip to visit Mary’s British Home Store. This small shop, run by Mary Carter, which imports all kinds of tasty treats from England. They also have a full case of pasties, pies, sausages etc.